Thanks to advances in dental technology, it is now easier than ever to repair damaged teeth and have a beautiful smile. You might be surprised to know that for some people all it takes to return colour and light to your smile is an appointment with a dental hygienist! Most clients find they are so pleased with their treatment, they wish they had done it sooner! 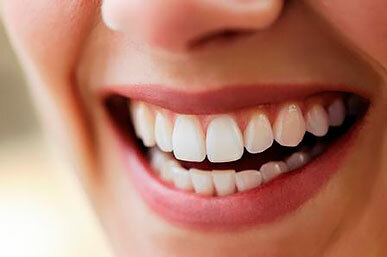 As well as being embarrassing, missing teeth can decrease people's sense of quality of life in a number of other ways. Many people suffer great discomfort eating, others develop speech problems, and it can have a detrimental impact on one's overall appearance. There are three options for tooth replacement at Geelong Smile Studio: a bridge, an implant or a partial denture. A bridge is generally the most common treatment, and involves replacing missing teeth by placing the bridge over the adjacent teeth for support, and cementing it into place. The result is a very natural look, and it should feel just the same as your normal teeth. An implant is another option, which is gaining in popularity. It involves replacing a specific tooth by inserting a very small titanium rod into the jawbone. Once the implant heals teeth can be attached to it. As with bridges, implants can be used in combination with soft tissue manipulation to make the replacement teeth appear as though they are coming out of gums, just like normal teeth. Due to its lower cost, many patients opt to get a partial denture. A partial denture is a removable prosthesis which replaces missing teeth. Unlike full dentures which are often uncomfortable and interfere with the enjoyment of food, partial dentures are smaller and more natural. It is an inexpensive, easy procedure which can replace several missing teeth all at once. Many factors need to be taken into account for teeth restoration. 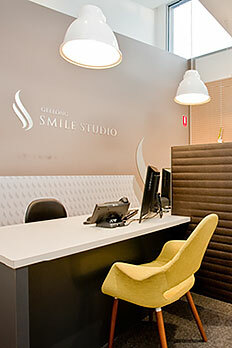 Geelong Smile Studio recommend you make an appointment to come in and discuss your needs. Their highly trained staff will talk to you in detail about the advantages and limitations of each option so you can make a fully informed decision.